Planning to take a Home Loan?? Before taking up a home loan certain things need to be kept in mind. 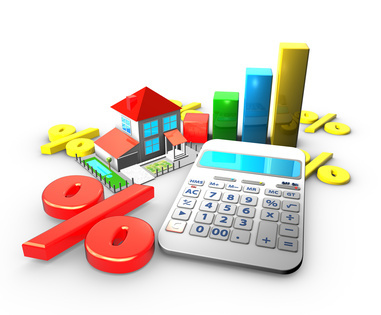 Evaluate your expenses and do a market survey about the property buying process. Also analyse and check the impact of your repayment of home loan on your monthly expenditure, as a thumb rule, it's recommended to make sure the EMI of your home loan does not exceed more than 40% of your gross monthly income. Banks determine your home loan eligibility based on your repayment capacity and discuss the loan amount up front. The eligibility for acquiring a home loan is augmented by clubbing income of your father/spouse/mother/son, by clearing your outstanding debts, by stretching your loan tenure, Salaried individuals can increase their eligibility by showing their performance linked income or bonus earned. An important factor, that goes into your EMI calculations, is the interest rates which may vary from bank to bank, so do compare them. Also do a complete and detailed analysis of the various options like the interest rates i.e. fixed and floating rate of interest. If two banks give you the same amount of loan but at different interest rates do your math and work out what's best for you. Fixed interest loans charge an interest, which remains the same throughout the tenure of the loan. It means that the consumer is immune to market risk or the possible upward movement in the interest rates. Hence, fixed rate is a good option when the home loan interest rates are expected to move up in the future. As for floating rate loan, a consumer is exposed to market risk and his gain or loss depends on the interest rate condition prevailing in the market. Floating rate is beneficial if the interest rate falls in the future. 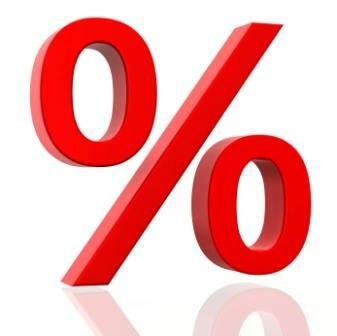 A floating rate is considered non-transparent and is also known as 'adjustable rate'. Also, many banks may insist on getting your home insured to safeguard their interest. There are various kinds of insurance covers available for you. Apart from getting the mandatory ones you should try to get insurance as per your circumstances. You also have a choice of getting insured by another company without any objection from your bank. The interest rates and EMIs are not the only cost factor. A 1% administration fee and a 1% processing fee on a Rs.10 lac loan would amount to Rs.20, 000. Processing fees, administration fees, valuation fee, legal fee, is to be paid when you apply for a loan and other fees paid at closing. You should ask for zero processing fees and zero penalty for pre-payment option. Make sure you work out as to how much these other costs add up. So even though the home loan interest rate may be lower, it usually adds up to being expensive. Identity Proof: Passport, PAN Card, Election Id card, Driving License, Photo Credit Card, Employers ID Card. Address Proof: Election Id card, Telephone Bill / Electricity Bill, Title deed of property / Rental Agreement, Employer’s letter, Sales Tax RC / ITR / Form 18. Photographs: 2 Colored passport size photographs. Income Proof/Bank Statement: Latest 6 months salary slips. ; Form 16/ ITR for last 2 years. Once you have received the Home loan do your best to pay it back as quickly as possible. But this early payment might invite a pre-payment clause. Banks make their money off the interest they charge, and the sooner you pay back a loan, the less money you will have to pay in interest.